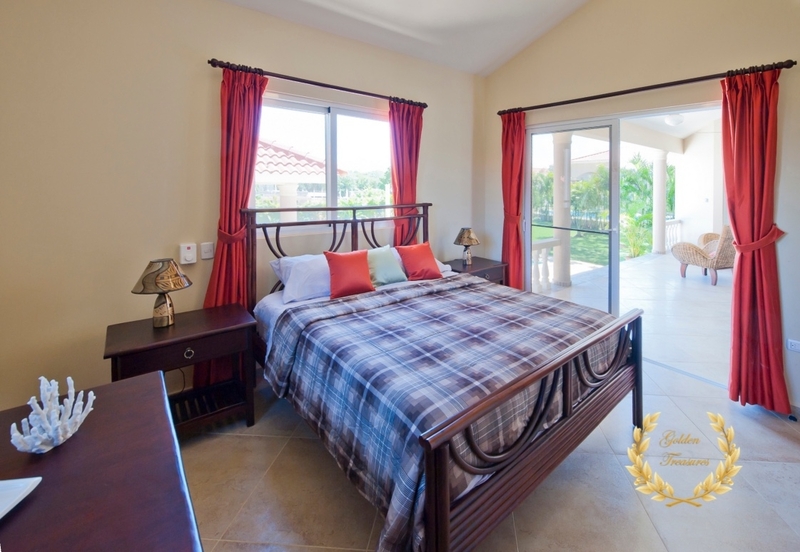 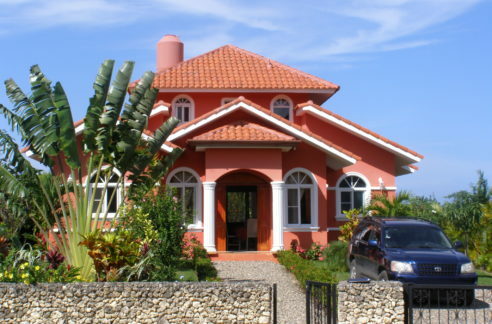 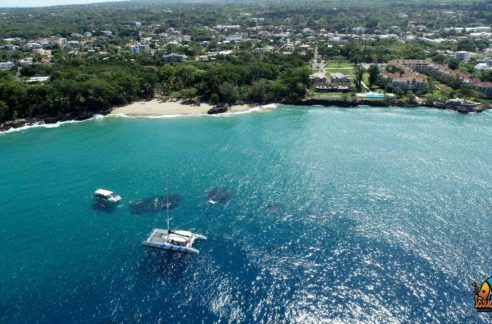 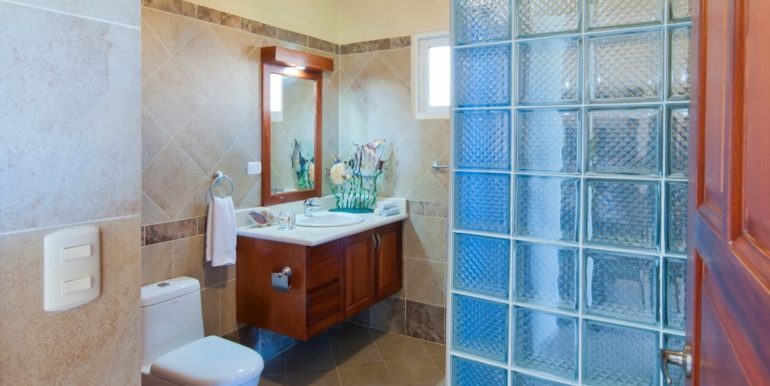 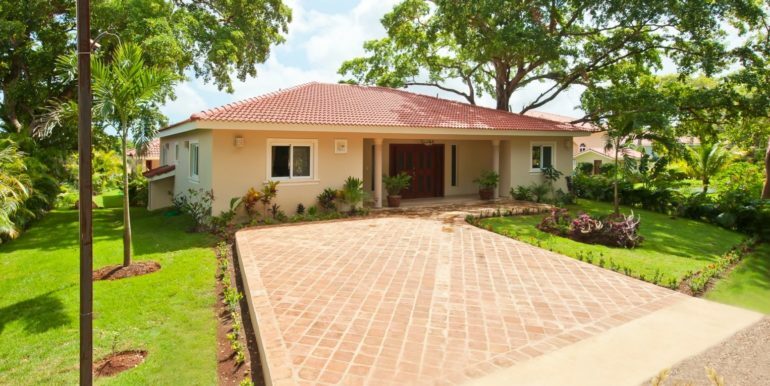 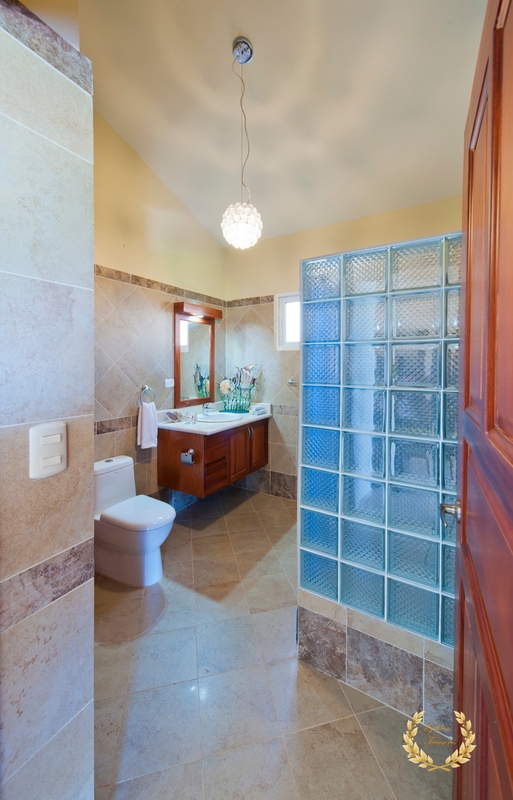 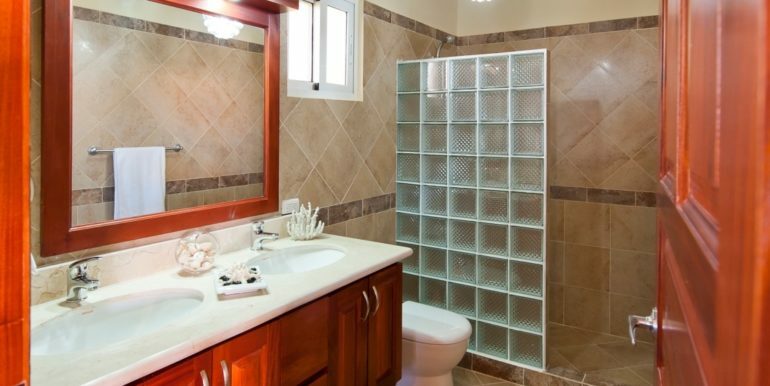 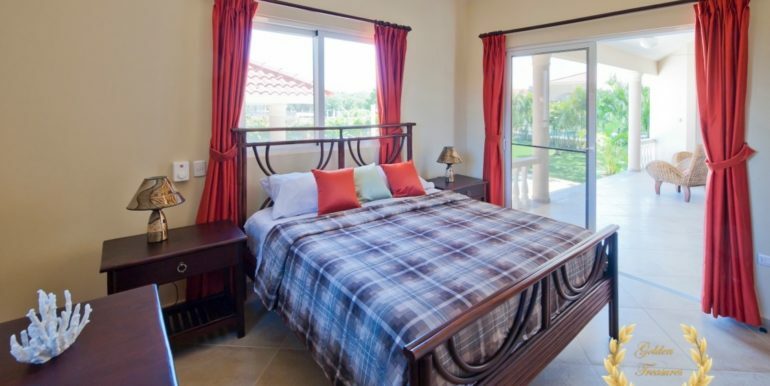 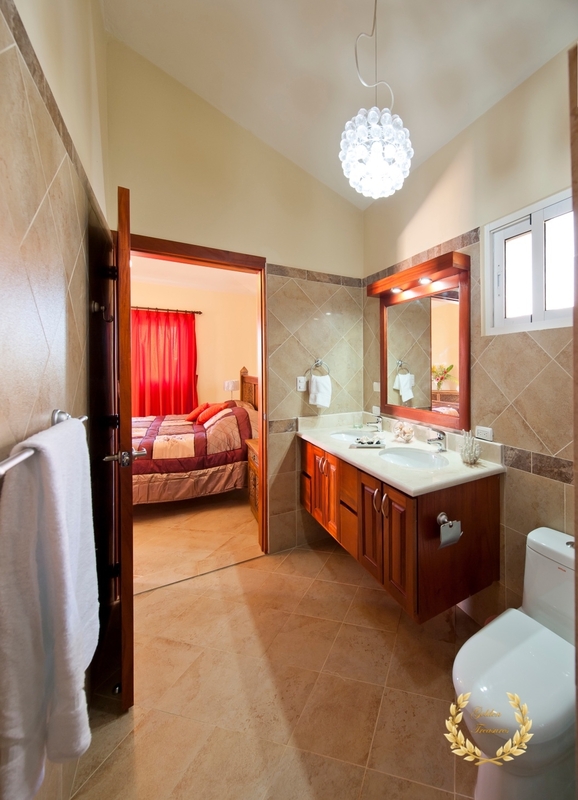 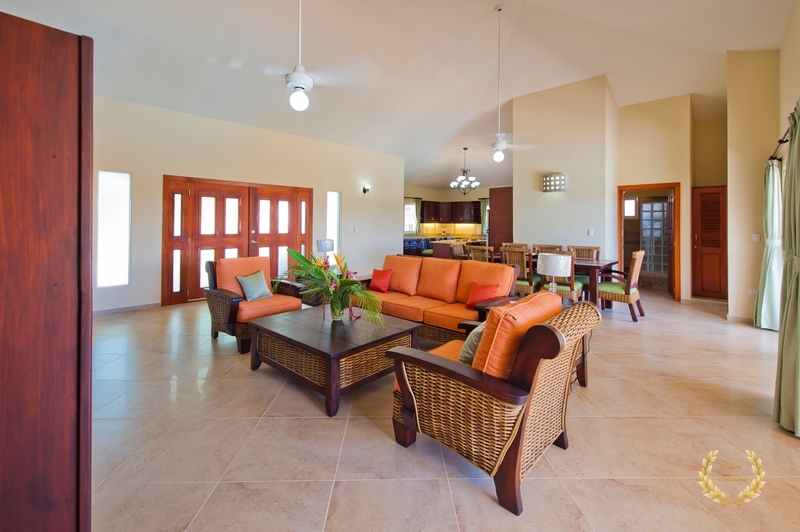 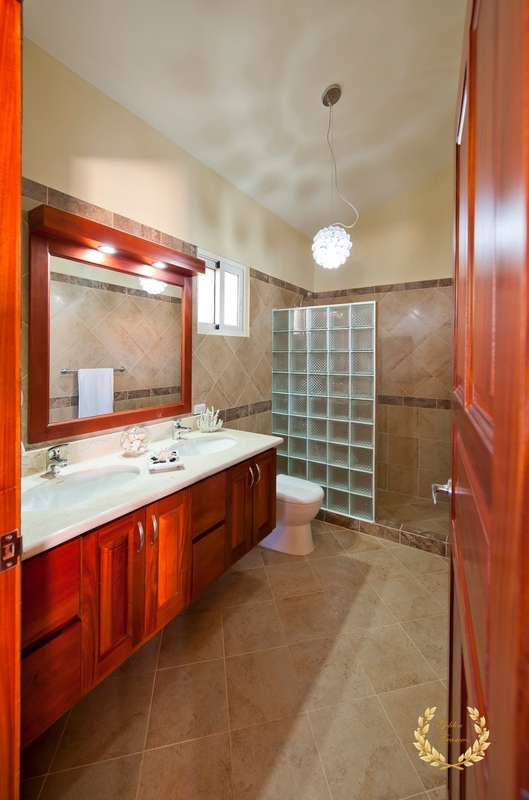 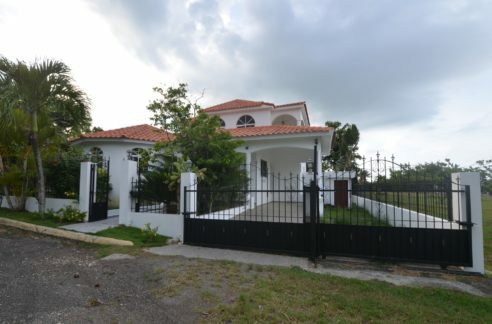 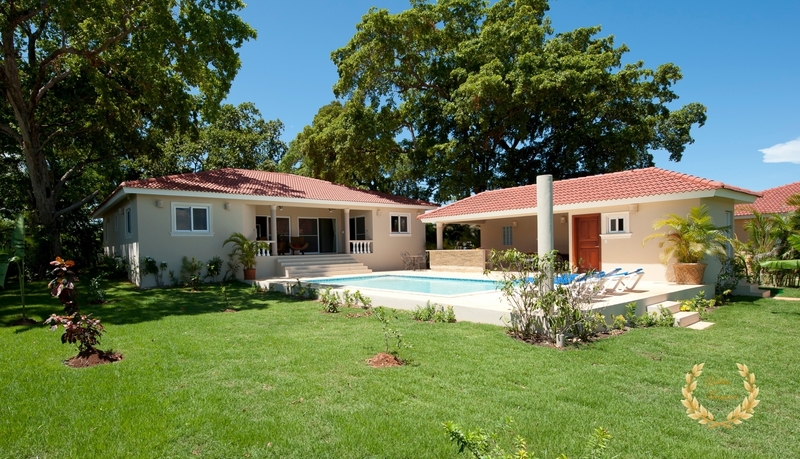 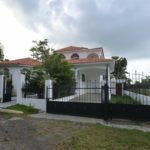 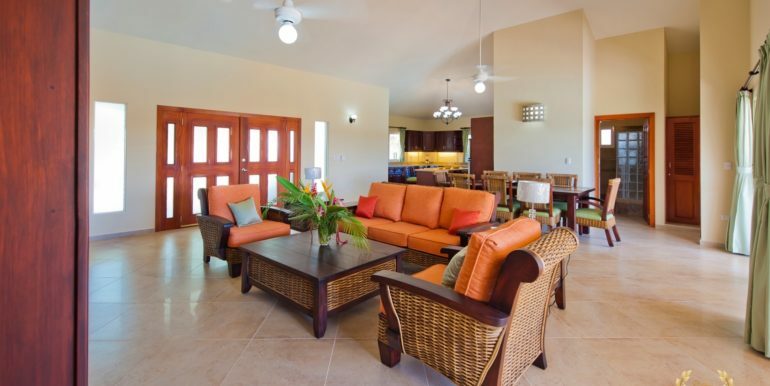 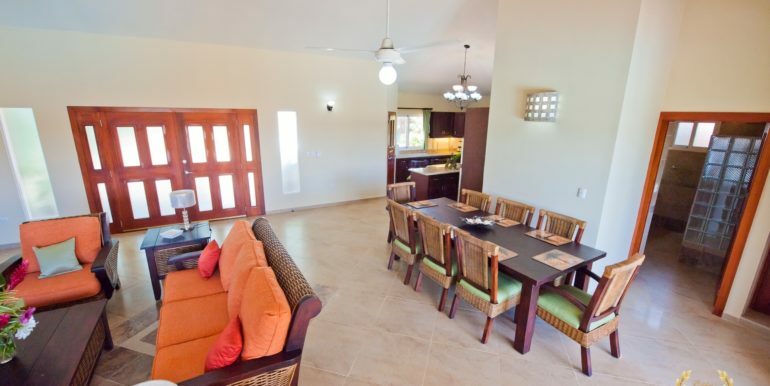 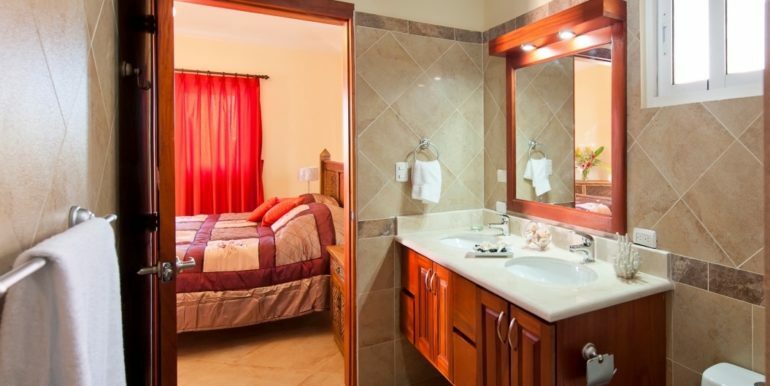 This villa for sale in Sosua, Dominican Republic has a distinctive design for a truly relaxing Caribbean lifestyle. 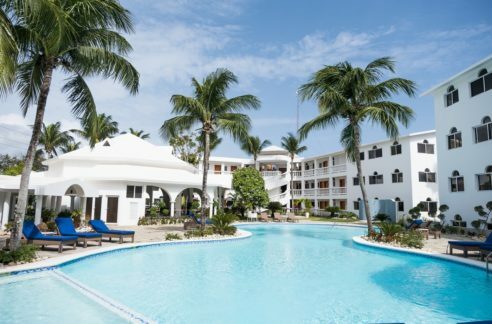 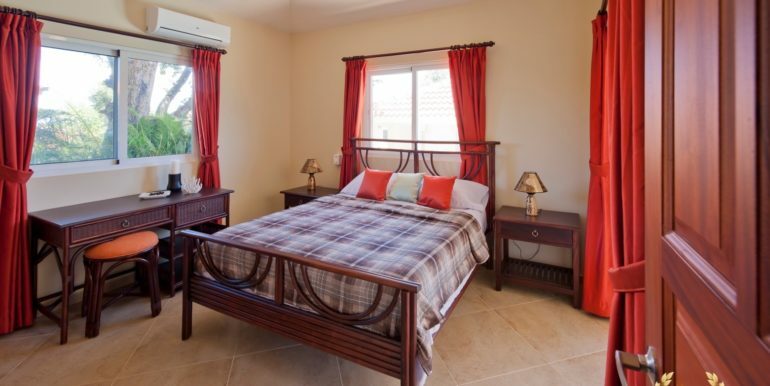 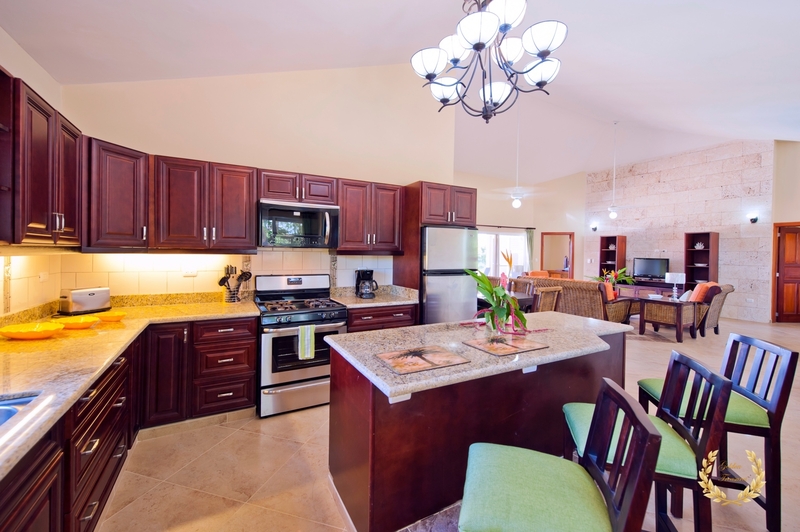 Its 3 bedrooms and 3 full bathrooms provide plentiful spaces to enjoy retirement living at its best. 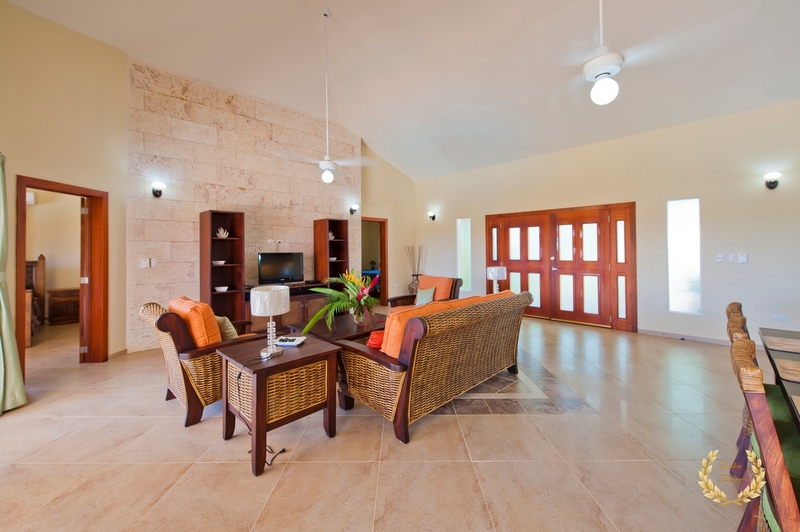 The interior areas show tall ceilings, bringing an air of elegance and the convenience of keeping the house cool even on hot days. 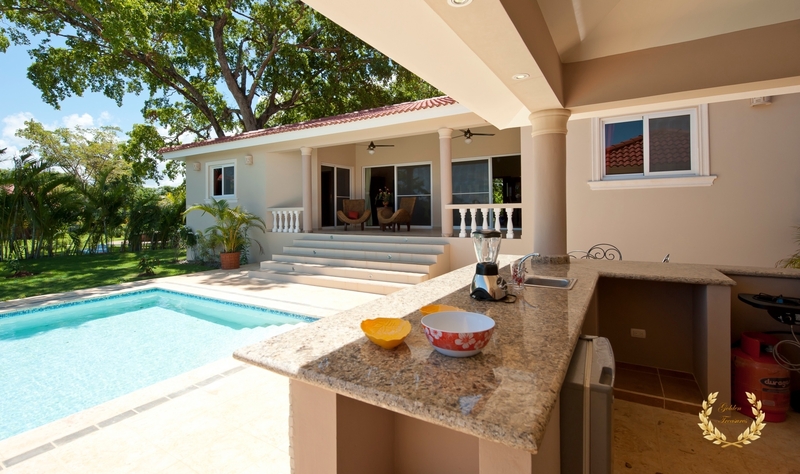 This villa has a L-shaped design based on a Balinese model, that integrates an exterior lounge and kitchen/BBQ area by the swimming pool deck. 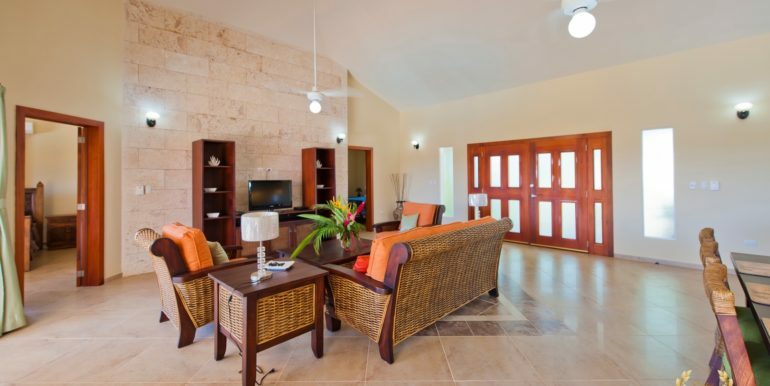 It`s all about a laid back lifestyle and entertainment for family or friends. 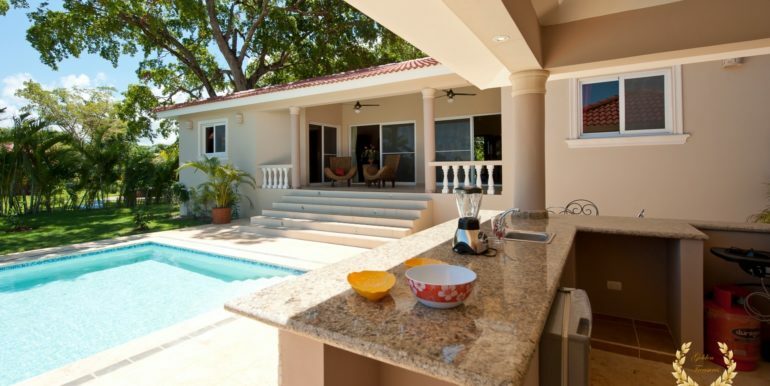 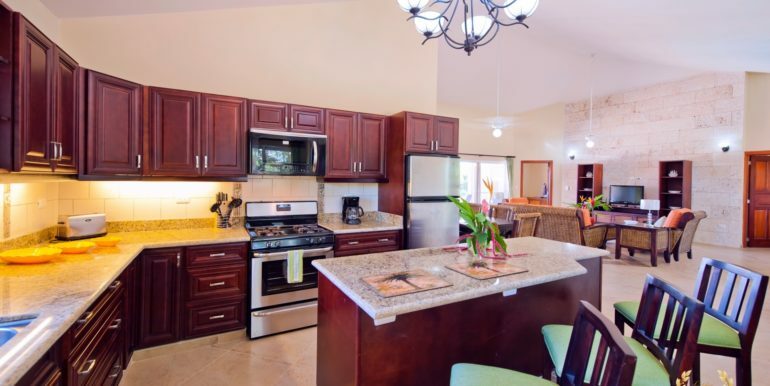 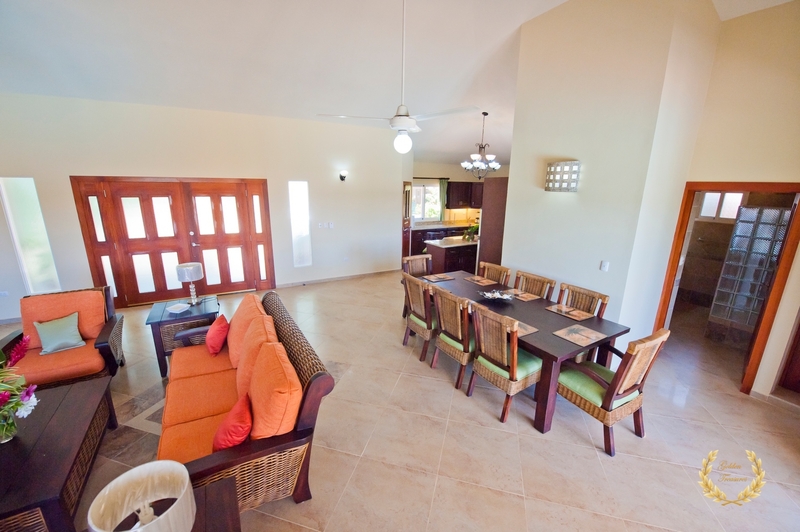 The villa features a fine kitchen with island, all in open living room design. 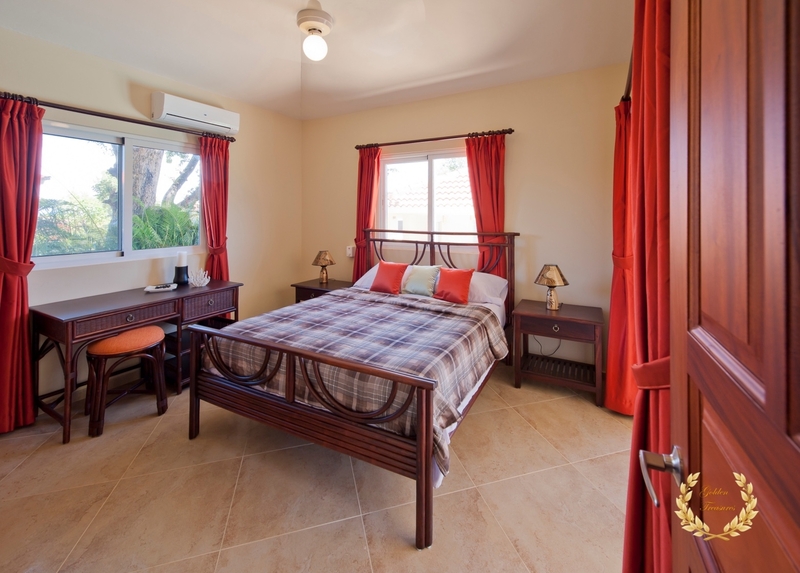 A very important aspect is the on site management available, with 24hr security, pool cleaners, gardeners and maintenance available. 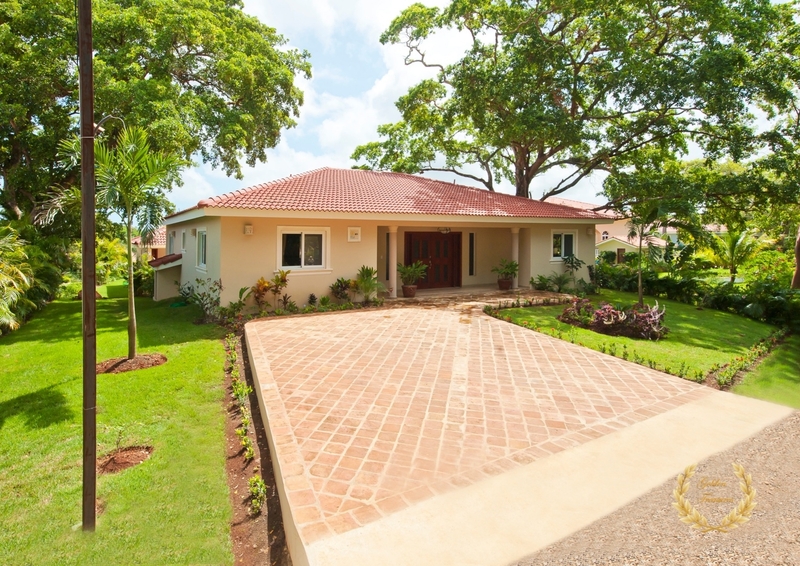 The villa size is 200m²= 2152.782ft² and the land size 1000m²= 10763.91ft² ( these can vary as we have bigger and smaller lots available ). 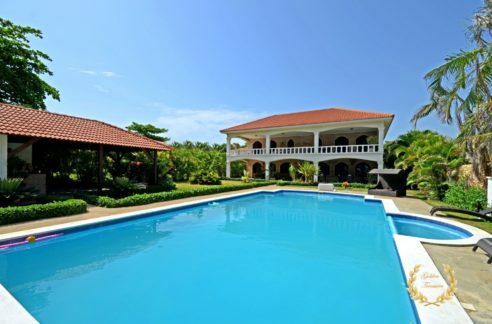 The swimming pool has 15,000 gallons and can be customized to taste. 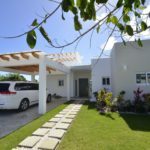 This is pre-construction price, includes the land, landscaping, swimming pool, service building for pool/storage and also we offer one of the best rental income programs in the island, guaranteed if owners add their villa to the rental pool. 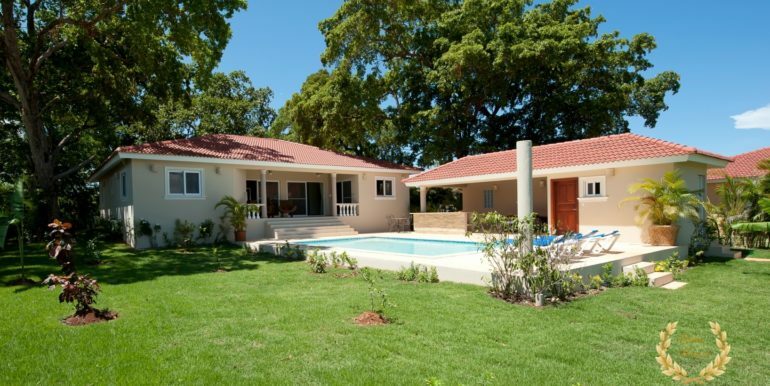 Access to the POP airport is just a 15 minute drive, and the best beaches and town a mere 5 minutes away.